Most people have a special place in their home where all the unused (but someday it might be useful) junk gets stuffed for years. Every so often that box gets opened up again, and wonderful discoveries emerge! Like rediscovering a Fire TV that hasn’t been used in years. 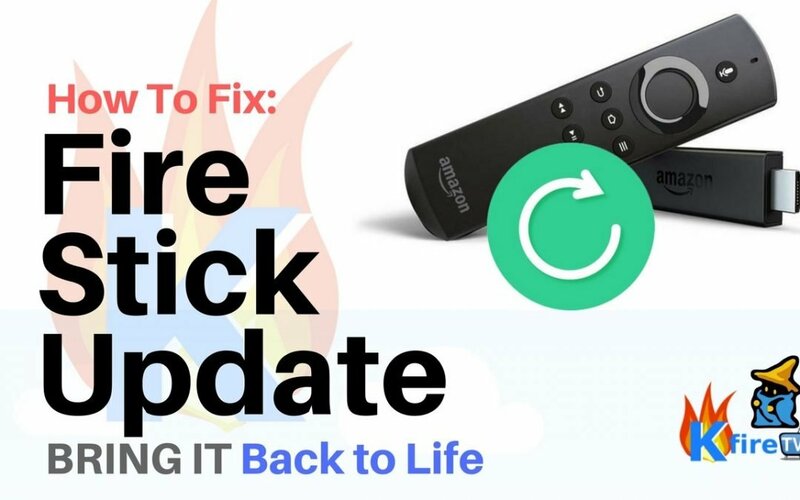 The first thing you’ll need to do in order to get it working again is a Firestick update 2018. Amazon regularly releases updates for the Firestick and Fire TV. These close security loopholes and keep your device running smoothly. If you haven’t used your Firestick in a while, then this is the first thing you need to do. Without upgraded software, everything else is useless. Plug in your Firestick to your TV and make sure it had power. Updating your Fire TV shouldn’t take too long. However, if it’s been a few years, then you might have to be patient. It has a lot of updating to do. Picking Your Poison: What’s New with Kodi? Instead of the old workarounds that were a pain, installing Kodi on your Firestick is super easy. You can use the video below for a step-by-step guide on how to install Kodi with a build. Don’t forget to uninstall your old Kodi first. In the next steps, we will cover how to update and install the base version of Kodi. No addons or builds. The current version of Kodi is 17.6 Krypton. Version 18.0 Leia is available, but it’s still in the testing stages, which means that it may have some bugs that interrupt playback. Since it’s a bummer to have Kodi crash in the middle of a movie, we recommend sticking with version 17.6. Of course, if you are the early adopter type, you can click over here for the instructions on installing Kodi v18.0 Leia. If you have some form of version 17.x, then it should be okay to update Kodi without reinstalling. If you check the version and you are version 16 or lower, then it’d be smart to do a clean install. Checking your version will also let you know if your version of Kodi loads up at all. If it doesn’t, then skip down to doing a clean install of Kodi. On the top left, click the gear icon. In the version info section, it will show what build you have. If it’s up to date it will day “Kodi 17.6” then have a bunch of other numbers you don’t need to worry about. It will also have the date that version was compiled. This is the easiest way to update Kodi if you have an earlier version of Krypton. If you checked your version and you don’t have 17.x, then skip down to a clean install. It’s a bummer to update things and have them not work. So no sense in courting the hassle. If Kodi works, but not your add-ons, you may need to update your add-ons or find new ones. Sometimes they just stop working or get shut down. If Kodi doesn’t work for you, then follow the next steps for a clean install. What are Some Awesome Addons? The beauty of something like Kodi is that you can customize it to suit you perfectly. Want Live TV? No problem. Movies all the time? It’s got you covered. Need a bigger screen for your android games? It can do that too. However, you might want to consider investing in the Firestick controller if that’s your cup of tea. Check out some of the addons below for options to watch almost anything.